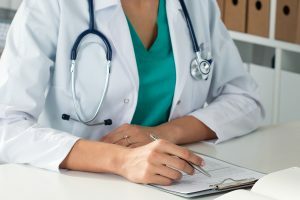 A recent ruling from the District of New Jersey holds that an employer can violate the New Jersey Family Leave Act (“NJFLA”) by firing an employee for submitting a deficient medical certification to support her need for a family leave without giving her an opportunity to correct the deficiency. Mary Hall-Dingle worked for Geodis Wilson USA, Inc. In April 2013, she took a medical leave due to severe shoulder pain. Although she submitted several doctor’s notes, Geodis sent her a letter warning her that if she did not submit documentation supporting her need for a leave, the company would consider her to have abandoned her job and terminate her employment. In response, Ms. Hall-Dingle submitted additional paperwork to Geodis and the company granted her medical leave under the Family & Medical Leave Act (“FMLA”). On July 28, 2013, one week before she was scheduled to return from her medical leave, Ms. Hall-Dingle’s son was in a severe car accident. She left a voice message for her supervisor requesting additional time off so she could stay with her son at the hospital. She continued to follow up with emails and messages to the company, but never received a response. Eventually, she told the company she would be ready to return to work on September 9, 2013. On September 4, 2013, Geonis sent a letter to Ms. Hall-Dingle asking her to submit a medical certification regarding her son’s condition. Ms. Hall-Dingle submitted information about her son’s accident, but told the company she did not know what type of medical certification it wanted. On September 24, Geonis provided Ms. Hall-Dingle a certification form and instructed her to return it by October 9. Ms. Hall-Dingle submitted the form on time, but left blank the portion that should have been completed by her son’s doctor. Nobody at Geonis ever contacted Ms. Hall-Dingle to indicate that she had submitted an incomplete form. Instead, on October 16, 2013 the company fired Ms. Hall-Dingle for failing to complete the form. Ms. Hall-Dingle sued Geodis, claiming it interfered with her rights and retaliated against her in violation of the FMLA and the NJFLA. Geonis eventually filed a motion for summary judgment, asking the court to dismiss her case. In in Hall-Dingle v. Geodis Wilson USA, Inc., the Court denied that motion. As the Judge explained, to prove her interference claim Ms. Hall-Dingle needs to show she was eligible for an NJFLA leave but Geodis denied her that leave. The court found Ms. Hall-Dingle can prove that claim since employers are required to tell eligible employees about their rights and obligations under the NJFLA when they request time off to take care of a family member with a serious health condition. An employer interferes with an employee’s rights if it fails to do so and the employee is harmed as a result. The court concluded that Geonis may have interfered with Ms. Hall-Dingle’s rights by failing to explain that her son’s doctor needed to complete a portion of the certification form. In the process, it ruled that Geonis should have given Ms. Hall-Dingle an opportunity to cure the deficiency in the medical certification before it fired her. Similarly, the court found there was enough evidence to support Ms. Hall-Dingle’s retaliation claims. Specifically, it indicated that a jury can find Geodis wanted to fire her because she took this time off based on facts which suggest that it: (1) may have doubted whether Ms. Hall-Dingle really needed her medical leave or her family leave; (2) was frustrated by her two consecutive lengthy leaves of absence; (3) felt her time off was a hardship for the company; (4) ignored her questions about whether she could return to work on September 9, 2013; (5) failed to give her chance to fix the deficiency on her certification form; and (6) fired her instead of allowing her to return from her leave.